steps as given. 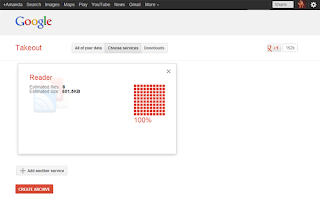 It is quietly simple and starts with Google take out. You have to download Your RSS feeds using Google take out. Now you have to export your feeds and it will be save in .json or .xml format and after that you have to use it for further. Step3: Now choose other services through you want to transfer your feeds. Now when you are logged into your account and then choose import feeds then it will ask for choose .xml file and then choose ok and hit enter. Now wait for while until you have completed upload 100%. Both Websites are suitable and legal for transfer your Google reader subscription.